Puppets War is suiting up in some new Trooper Veteran Armour with their latest release. 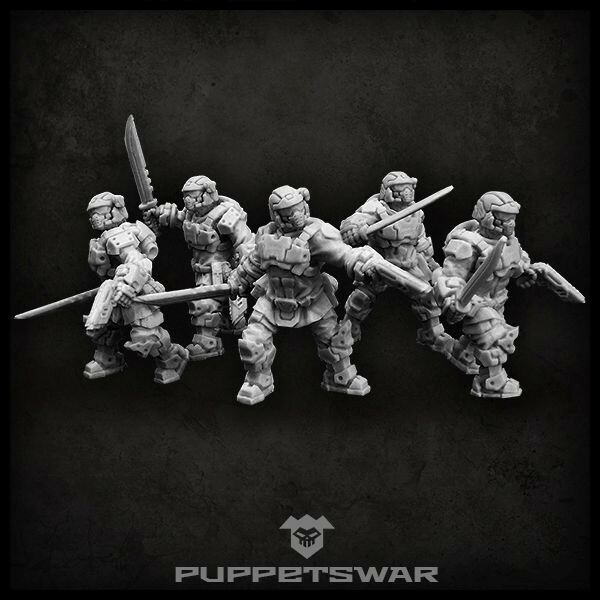 The set comes with five elite warriors that you can use as part of your army. The bodies come separately from their weapon options meaning that you can mix and match them if you like with more of the Puppets War range. The designs make me think of Spartans from the Haloverse mixed with Tempestus Scions from Warhammer 40,000 which is no bad thing. 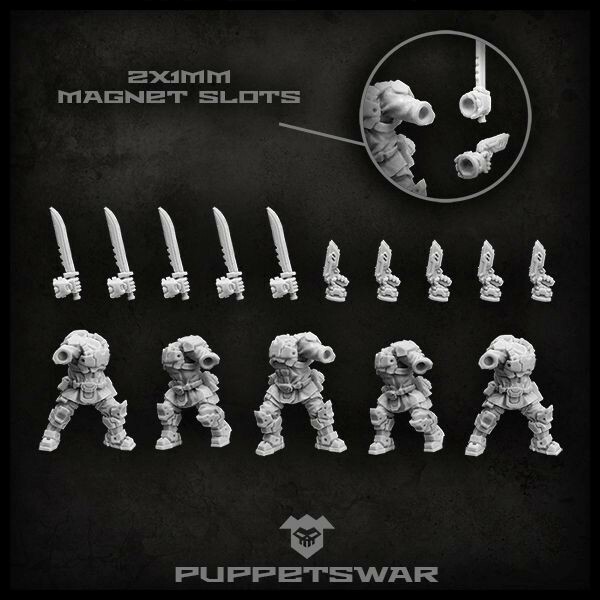 These fellows would make for a great alternative Kill Team in games as well as being used in larger scale Sci-Fi games like Warpath for example. Will you be getting inventive with this new squad? "The designs make me think of Spartans from the Haloverse mixed with Tempestus Scions from Warhammer 40,000..."
Love them great for SF or assault troops.